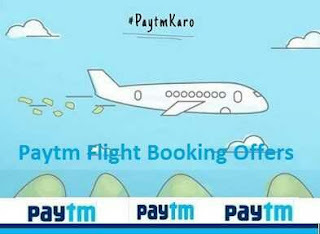 • Get Cashback on Flight Bookings. 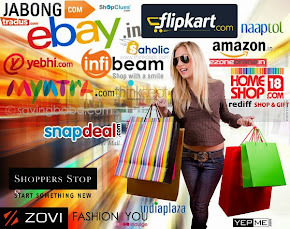 • Cashback will be credited within 24 hours of the transaction. 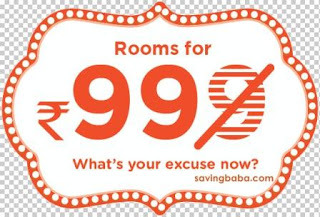 Book rooms for Rs. 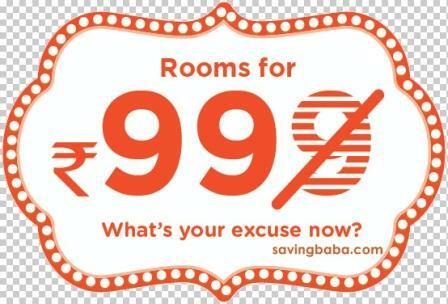 99 Flat in Mumbai, Bangalore, Jaipur and 20+ Cities. 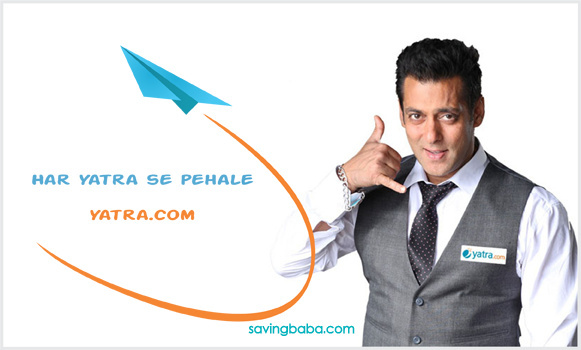 • 50% Cashback upto Rs. 100: On 1st payment made via Meru Wallet using PayTM. 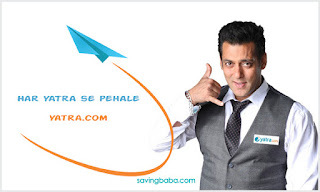 • 50% Cashback upto Rs. 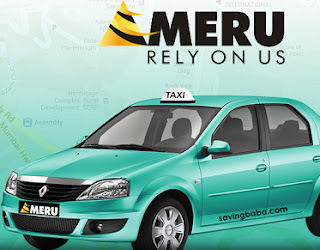 100: On 1st payment made through Mobikwik Wallet on Meru Cabs App. 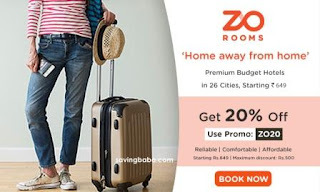 • The Offer is applicable for bookings made between June 02, 2015 and June 04, 2015, for travel between June 20, 2015 and July 31, 2015 (all dates inclusive). 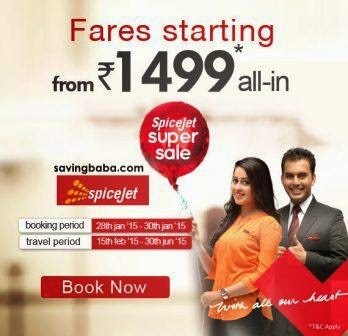 • The Offer is valid only for travel on SpiceJet’s flights network within India only. Go Explore gives you a chance to explore India like never before! 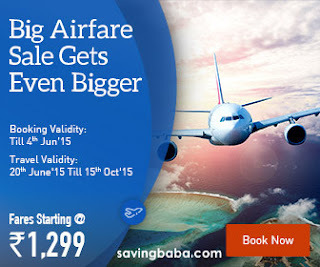 Avail lowest fares on flights to the choicest of holiday destinations across our network. Be it the fantastic beaches of Goa, the misty mountains of Srinagar or the calm backwaters of Kerala. 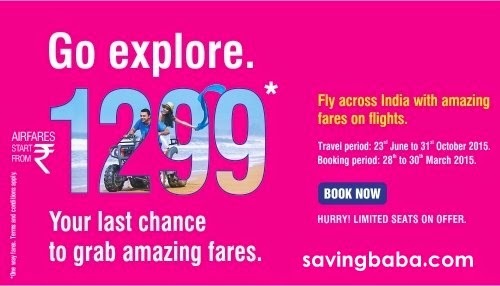 With GoAir, you’re assured of unforgettable experiences at best prices! • Booking period: March 28 to 30, 2015. • Travel Period: June 23 to October 31, 2015. 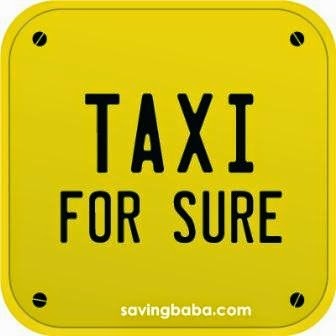 Aggregator of car rentals and taxis in India & work with various taxi operators and enable them with technology to ensure customers get an easily accessible, safe & reliable taxi ride ‘for sure’. 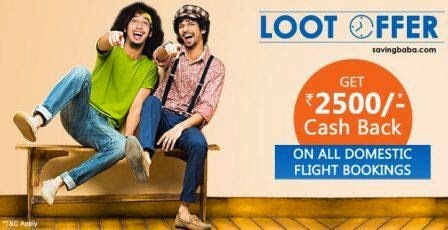 Cashback would be in the form of promotional goCash. 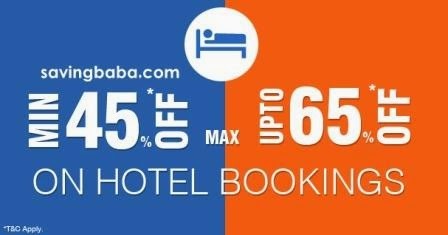 • Hotel: 50% of transaction value, max. 2000 per transaction. 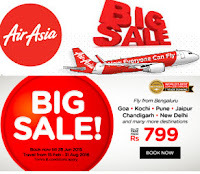 • Flights: Maximum Rs. 500 per transaction. • Bus: 10% of transaction value to max Rs. 100. Refund will be in the form of goCash. 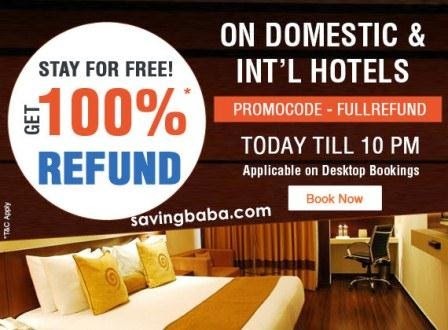 Promotion not applicable on selected Domestic hotels. In case of no show, no refund would be applicable. AirAsia offering Flights booking from Rs. 699. 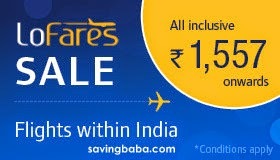 500000 seats are up for grabs at fares starting Rs. 1499 all-in! 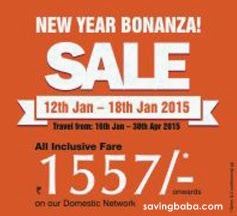 travel anytime between 15th February and 30th June, 2015. 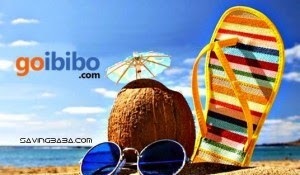 GoIbibo is offering 60% off on Booking of Rs. 4500 on Hotels.